SKU: Zamora Corner Spa 10 jets. Category: Spa Baths. 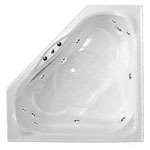 This luxury 10 jet Spa is beautifully crafted to suit any bathroom needs. 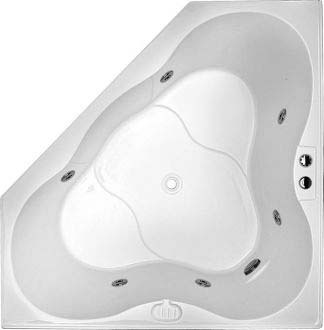 Th Classic clover shape, cut away corners and added depth enhance the internal dimensions of this corner spa. 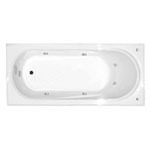 Gently sloping walls, twin seating arrangement and a shower area in the centre of the bath add to the practicality of the Zamora.